St. Vincent is releasing a deluxe version of her fourth, self-titled album. This version comes almost a year after St. Vincent was originally released last February. The deluxe aspect is in the form of four new songs: "Del Rio," which is a Japanese bonus track, a Darkside remix of "Digital Witness," "Sparrow," "Pieta," and "Bad Believer." 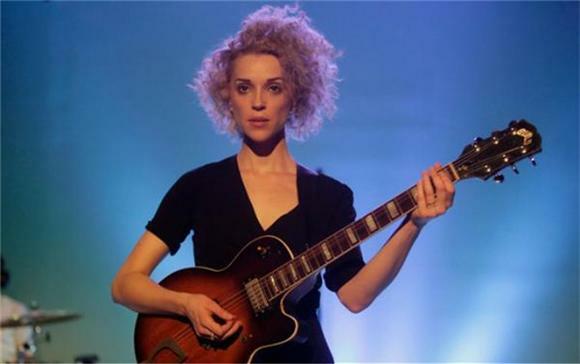 As well as her musical notoriety, St. Vincent's popularity has also extended to television- her music is going to be featured on an espisode of HBO's Girls. She's also guest starred on Portlandia twice, in 2012 and 2014. The deluxe version of St. Vincent will come out on February 9th, but "Bad Believer" is available to stream now. It's a catchy, kinetic track featuring Vincent's impeccable guitar work and lazer-like synths. She shows off the range of her voice, going from bold belting, to soulful crooning, to practically whispering and back again. Check it out below!